The first thing to do is to obtain an Username and a Password for this site. Copy the password to the clipboard, click on the login link at the bottom of the message, fill in the Username and paste the Password. 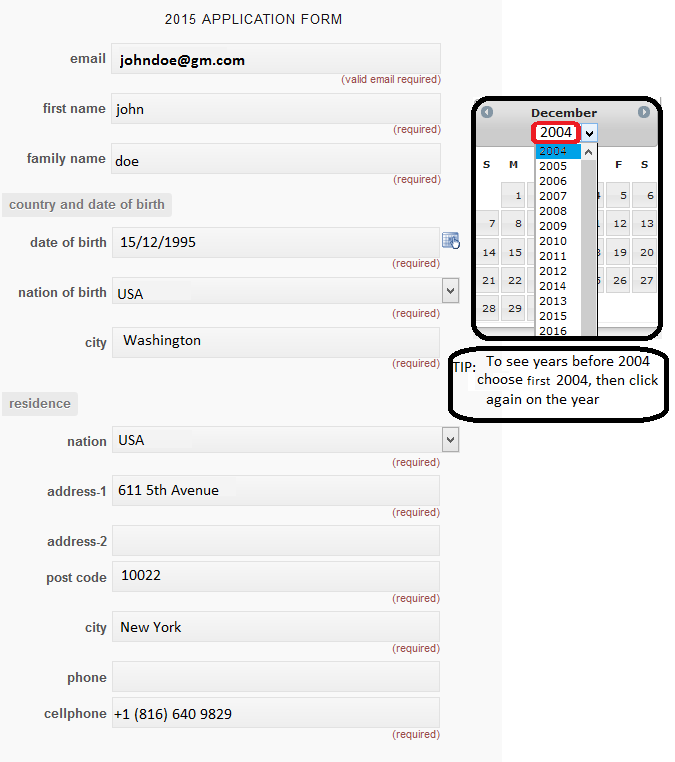 The site will show that you are logged in the top left hand corner. 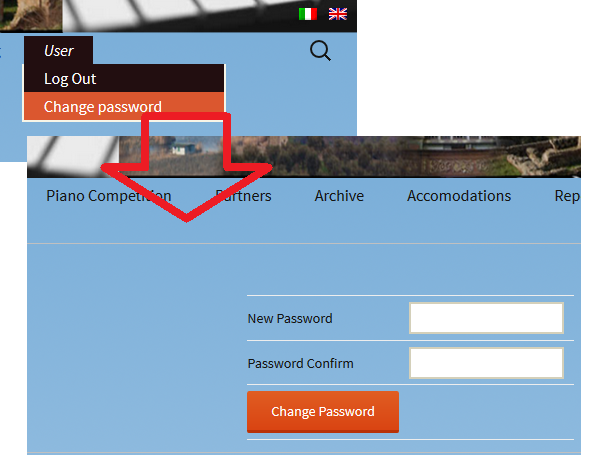 You can change your password with the menu item “User / change password”. You can now fill up the application form. You may, but it is not obligatory, insert information about your current teacher. Insert the programs you intend to play for the three rounds of the competition. The information you put in the curriculum must be of 100 characters minimum, and will be used to print it in the program given to the public during the competition. pay via PayPal or credit card, using the button provided in the menu item “payment of the subscription fee”. You can fill up the rest of the form, save it, carry out the payment via Paypal, and if you come back to the form you will find the field “proof of payment” filled up. When you click the button “save the data” without having marked the “send subscription” flag, you merely save your form for future completion. 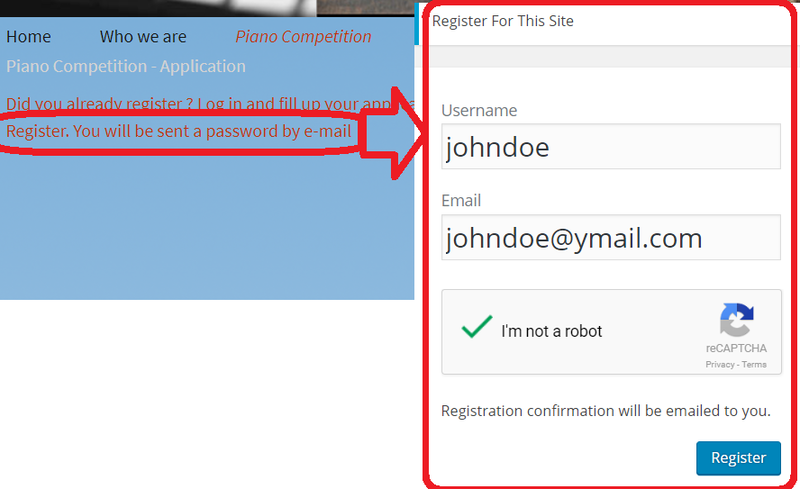 The system will let you save the form even if some key fields are not filled in, but will signal them to you both after the input and when you log in again to finish the form compilation. 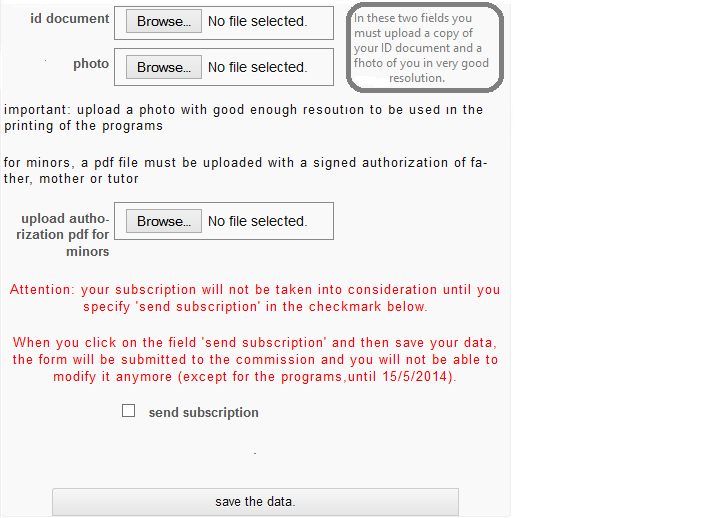 When you are sure all the data is correct, click the “send subscription” field and save the form. It will be examined by the commission and if there are questions an email will be sent to you. 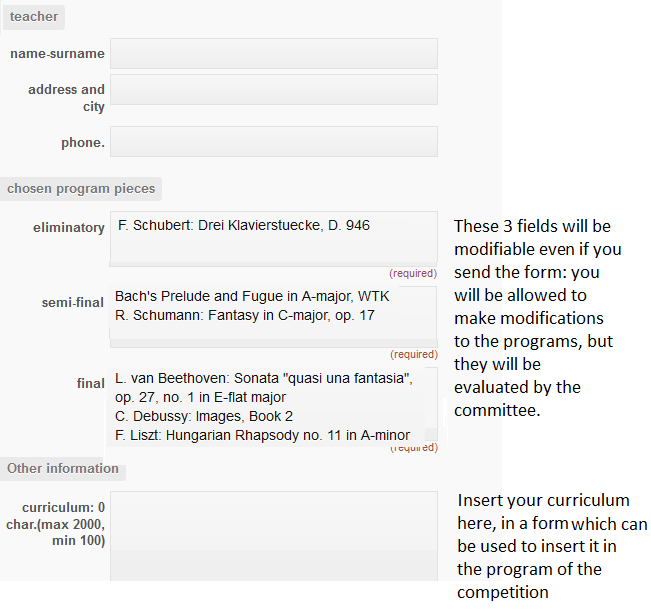 The three form’s “programme” fields are modifiable until may 15, but all modifications must be evaluated by the commission.